Senior Suites of Chatham was very nice. The staff member during the tour was very thorough and very nice as well. The dining area was very nice and clean. The best way to get to know a community is by scheduling a tour. See the facilities, meet the staff and residents, and get a feel first hand what it's like to live at Senior Suites of Chatham Independent Living. Step into our welcoming doors at Senior Suites of Chatham in Chicago, Illinois and you'll experience the warmth and comfort of home and the support and camaraderie of friends and family. An array of amenities is at your disposal and all for one low monthly rent to income qualified seniors. 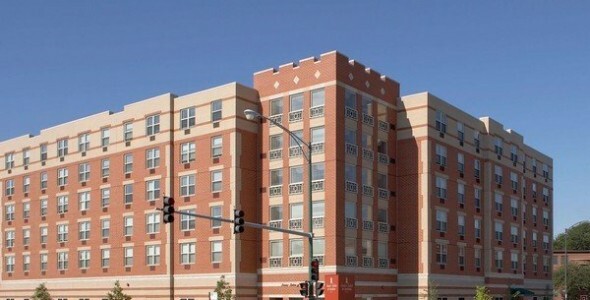 Senior Lifestyles Senior Suites is a nationally recognized as a leading model for affordable senior housing. Funded by a combination of public and private sector investments, we are able to offer high quality apartment homes with amenities designed to meet the needs of older adults in both the city of Chicago and the surrounding suburbs. can achieve your wellness goals. ing a large up-front, non-refundable payment like many communities. Residents love that utilities including heat, electricity and air conditioning are bundled into affordable monthly rates. Each apartment includes personal climate control, wall-to-wall carpeting, window treatments as well as a private bathroom and kitchenette. When you call Senior Suites of Chatham your home, you can depend on monthly housekeeping, on-site maintenance staff and complimentary laundry services. Our 24-hour emergency call system and daily Up and About Check are there for your security as well. For those who don't drive or no longer care to, we have weekly transportation to shopping. We invite you to speak with us about life at Senior Suites of Chatham where one simple lease can mean a worry-free lifestyle.